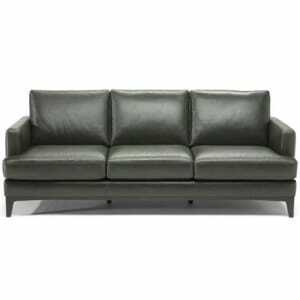 This sleek grey blue leather sofa is imported from Italy. 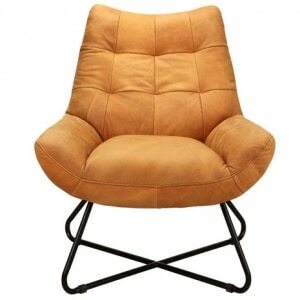 Its leather has been sanded and distressed to give it a soft glove-like luxurious feel. Narrow track arms, button tufted cushions, and inset tapered legs complete the look of our Mario Sofa. 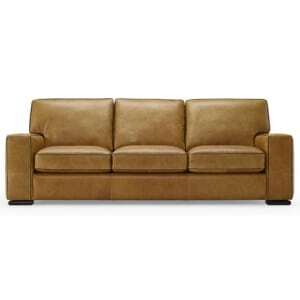 Choose your favorite top grain leather for our Ernesto Sofa - many colors to choose from! 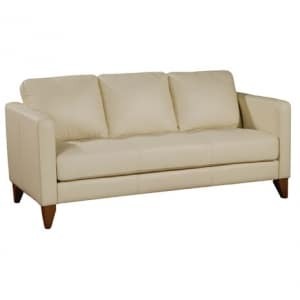 Our Ernesto sofa features wide track arms, box seat cushions, t-style back cushions, and low profile wooden feet. Many pieces offered in this collection, including a loveseat, chair, and sectional. Our Sydney Sofa features sleek track arms, t-style seat cushions, and an exposed wood base anchore by slightly flared legs. 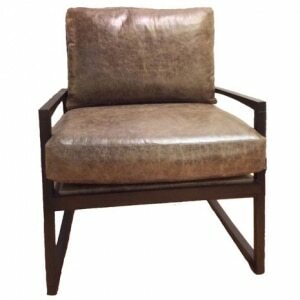 Customize the look from your choice of many top grain leathers and assorted fabrics. The wood tone is offered in two finishes. Multiple pieces available in the Sydney Collection, including a sofa, loveseat, chair, and sectional. Our Brookfield sectional has so many options, we may not have room to list them all! 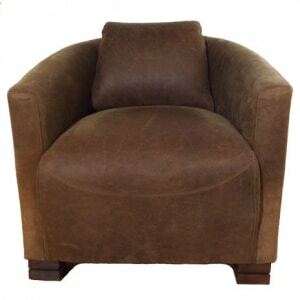 It features inviting cushioning, plush top grain leather, and rounded arms. The options of reclining seats (manual or power), cupholders, and sofabeds make it even more appealing. 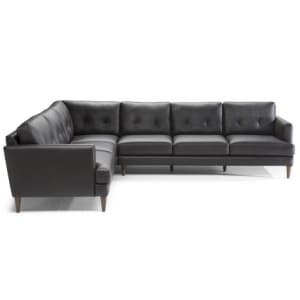 Multiple sectional configurations are available, as well as many leather types and colors. Our stylish Douglas sectional features button tufted back cushions, sleek track arms, and tall pencil legs. 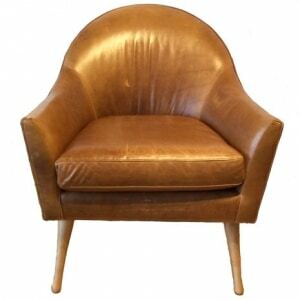 Many top grain leather types and colors available to order, as well as two leg color finishes. 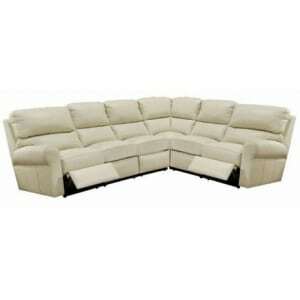 Multiple sectional configurations available, as well as a coordinating sofa, loveseat, and chair. Fall in love with leather! 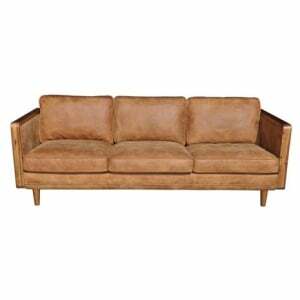 Our Sierra sofa is upholstered in a supple caramel toned top grain leather. Solid walnut wood wraps up and around the arms, and subtle tacktrim detail frames the outside arms. Tall pencil legs complete the look. 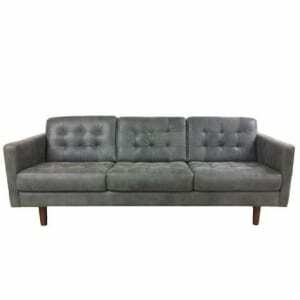 The Hannah sofa features a stylish tufted bench seat cushion, plush boxed style back cushions, and narrow track arms. The tall wooden legs are available in several wood finishes. 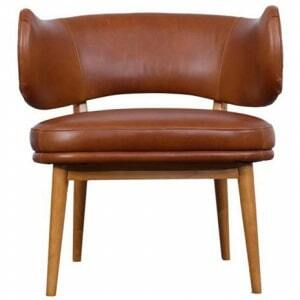 Choose from many fabrics and top grain leathers. 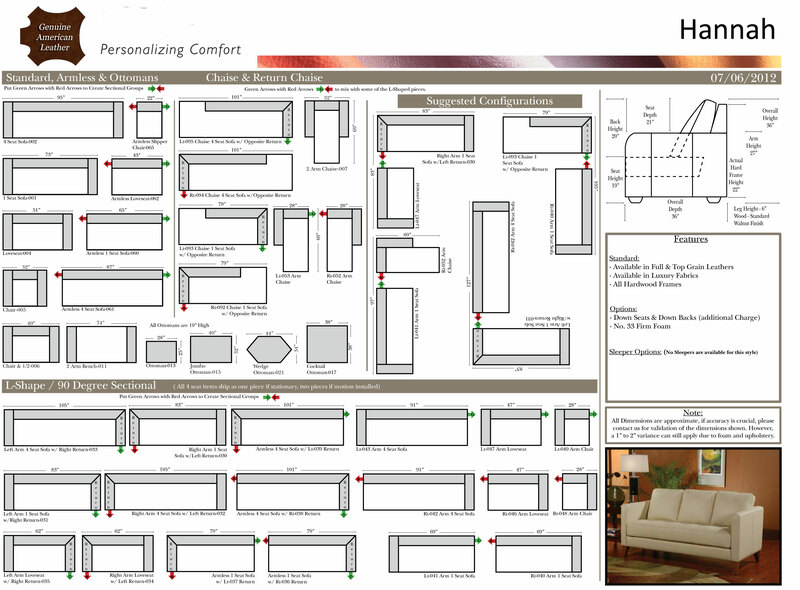 The Hannah collection offers many sofa sizes, loveseats, chairs, ottomans, and sectionals.